Flying can be stressful. 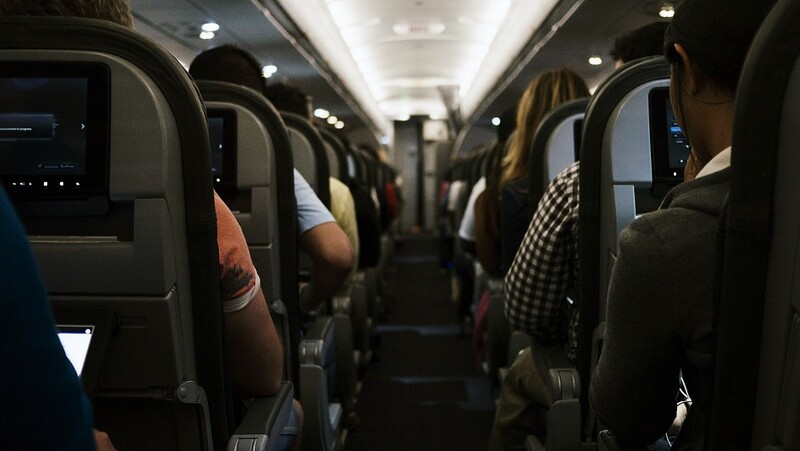 Long security lines, waking up in the early hours to arrive on time, and terrible airline food, are some of the things that add to the annoyance of flying. There are ways to make flying more enjoyable and to fly like a pro. Read our simple tips on how to make your flying experience just a bit better. If you’re in the US, TSA PreCheck can be a god-send. It’s a nifty little program that lets go through an expedited security screen. It’s for low-risk travelers and available at most airports in the US. You get to leave your belt and shoes on, which do speed up security just slightly. The best part is that there is generally a second (and much smaller!) line dedicated to TSA PreCheck members. Unfortunately all great things come with a price, and this one is no different. TSA PreCheck is $85 USD and is valid for 5 years. If you have a high end credit card, you may be able to get it free–so be sure to check what benefits you have. It is also included free with Global Entry (see below). Similar to TSA PreCheck, Global Entry is a program that lets you skip the immigration line when returning to the US and entering a few other countries (such as New Zealand). It’s slightly more than TSA PreCheck at $100 USD (for 5 years), but it actually includes TSA PreCheck, so if you plan to get TSA PreCheck, you might as well pay the extra $15 and get both for $100 total. To apply for Global Entry, visit: https://www.cbp.gov/travel/trusted-traveler-programs/global-entry, then follow the link on the right that says Apply Now. Airport lounges are one of the best kept secrets to travel as they make flying much more enjoyable. There are many ways to get in the lounge if you know how. Many high end credit cards offer lounge access, but they typically come with a pretty hefty fee. Did you know that you could get in most of the lounges for $99 USD a year + entry fees of around $27? This typically includes all the food you can eat, and as much alcohol as you’d like. The secret to this? PriorityPass. Before you sign up, be sure to check if one of your credit cards already offers it as a benefit. Most high end cards do! Let’s face it, airport drinks are expensive. To make matters worse, you can’t even bring your drink past security! So here’s what to do. Skip the vending machine and bring an empty water bottle with you. Once you’re past security, fill your bottle up at the nearest water fountain. You should be allowed to bring your water bottle on the flight with you too. Nothing is worse than being 29,000 feet in the air and having discomfort from gas. As the pressure in the plane is low, gasses expand, causing you to feel bloated and uncomfortable. The best way to avoid this is to skip foods and drinks that cause the gas. Avoid carbonated beverages and foods that aren’t easily digested. Typically, the main culprits are beans, broccoli, brussels sprouts, cabbage, cauliflower, chewing gum, and even some fruits such as apples, peaches, and pears. Almost everyone loves coffee due to the caffeine. While caffeine is great to keep you up, it also dehydrates you. Try choosing a decaf variety instead. Or opt for decaffeinated green tea. It’s even been said to help stave off the onset of jet lag. Alcohol can be great if you’re a nervous flier and need to take the edge off. Try to avoid drinking too much alcohol though as it’ll lead to dehydration and grogginess, as well as exacerabate the jet lag you’ll experience upon arrival. Flying should be comfortable. Wear loose, comfortable clothing to make your flight more enjoyable. Men should consider wearing jeans and a t-shirt, while women may want to try leggings and a sweater. Flights can be cold, so try to avoid shorts or skirts. Better yet, wear layers so you can easily remove layers if it gets too hot. Stretch your legs. Keep the blood flowing and prevent clots by flexing and relaxing your calf muscles and feet. Better yet, get up and walk around when possible. If you’re stuck in a window seat, don’t feel bad about asking to walk around. Take this opportunity to use the lavatory as well. You should try to do this around once an hour. After a long flight, you’re probably going to be tired and will do (and pay) nearly anything to get to your hotel. Before you depart on your trip, you should first find the best way to get to your accomodation. If taking a taxi is the best way, you should find out the average cost of a taxi beforehand so you can negotiate when you arrive.